Off Jalan Ampang opposite Sucasa, next to Hock Choon Supermarket. 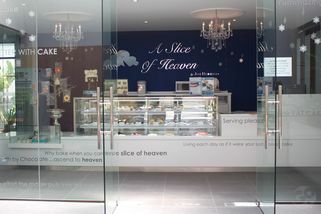 A Slice Of Heaven, the retail and ready-to-eat arm of the Just Heavenly bakery company, furthers the brand's uncompromising commitment to quality and detail that is expressed in their motto “Designing Dreams, Serving Pleasure”. 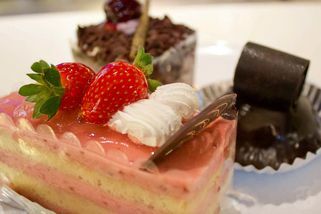 The outlet in Jalan Ampang presents cakes for every age and occasion, from basic to highly elaborate, cute to crazy according to the customer’s desire. 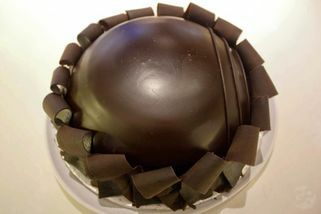 Signature cakes here include Death By Chocolate, Red Velvet, Choc Cheese and Choc Durian. 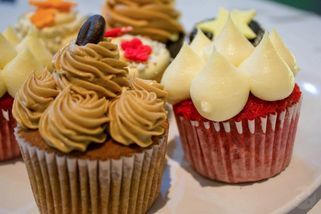 Other favourites are Triple Espresso Brownie and Butter Buttercup. 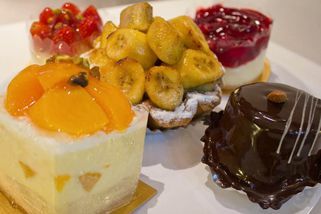 Almost all of their cakes are available in mini sizes too. 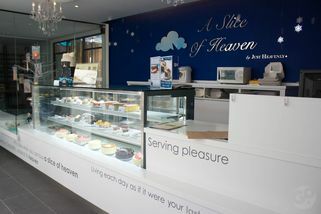 Like all their outlets, this one is finished in white and blue, and hung with their signature chandeliers, with the cakes taking pride of place. 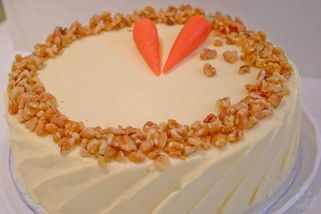 In addition to cake and dessert catering, they also offer wedding and event planning. I stopped by a couple times since this outlet opened at Hock Choon. The lady boss tossed in some freebies for me once near closing time. Try your luck and see if you can get some too!